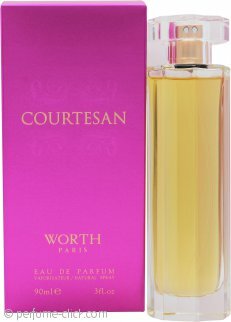 Courtesan from Worth is a symphony of beautiful notes. It opens with spicy notes of cinnamon, cardamom, clove, pineapple, red berry and bergamot which beautiful and skilful blends with the flowery heart of orange blossom, magnolia, jasmine and rose. The symphony ends with sandalwood, peach, raspberry, caramel, dark chocolate, cocoa, amber, vanilla and musk. A heavenly blend that is worthy of a goddess.